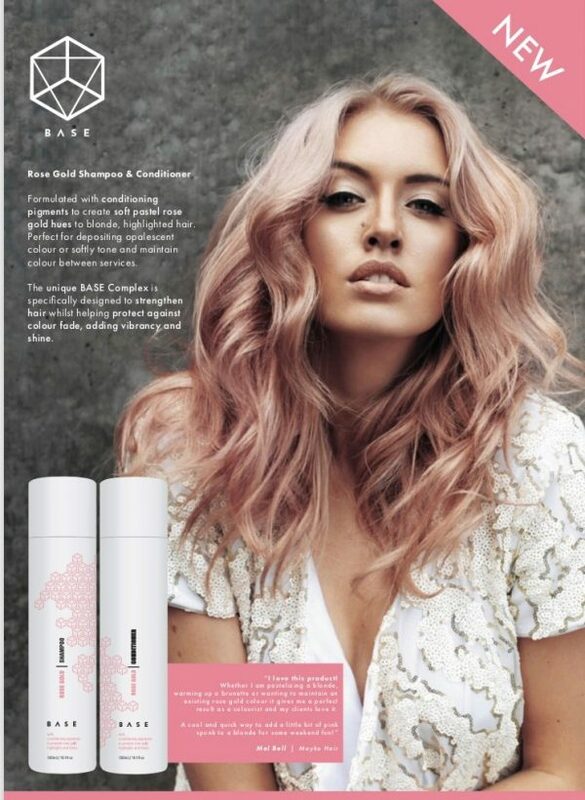 Yeah baby, if you love the BASE Blonde ++ your going to love the new BASE Rose Gold shampoo, tones a blonde or any pre-lightened hair for that matter to fairy floss pastel pink or enhance your copper, blush pink mid lengths to ends. It washes in and washes out for a fun change to your colour without all the heavy colour work or simply rock out a sassy new colour on the weekend. Not to mention Mayko Hair’s very own Creative Director Melissa Bell is brand Ambassador for this killer product. In-Salon this week, limited stock, please let us know if you would like some ? This is a MUST ? Available in the Online store.